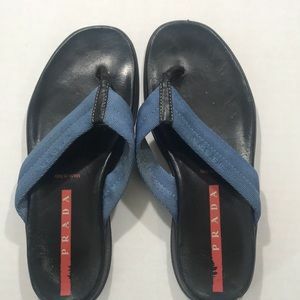 Prada Shoes offers a wide selection of high-quality, luxury pumps, sandals and sneakers. 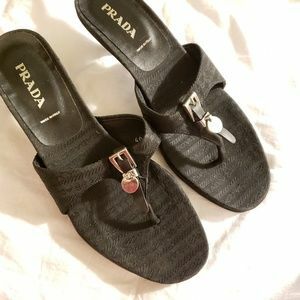 A variety of modern pattern and unique styles are what make Prada Shoes an essential to your wardrobe. 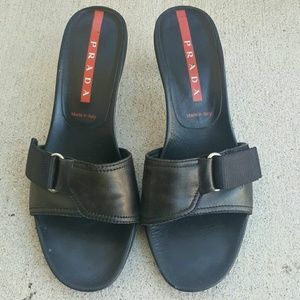 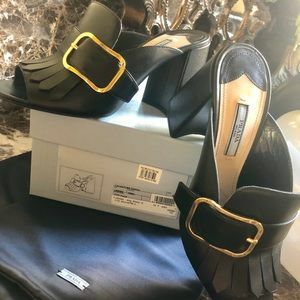 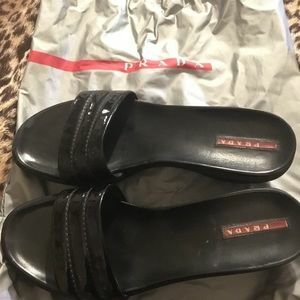 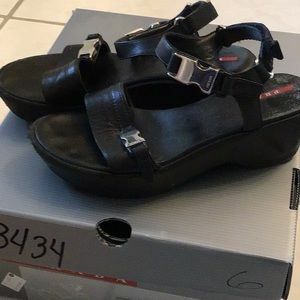 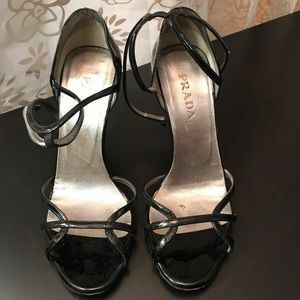 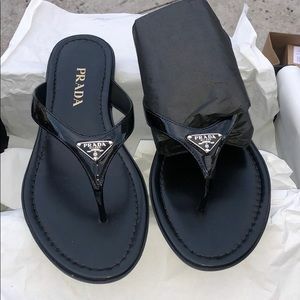 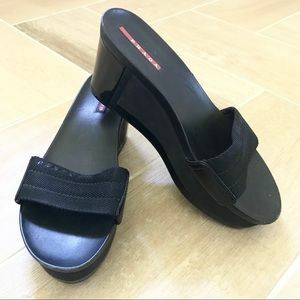 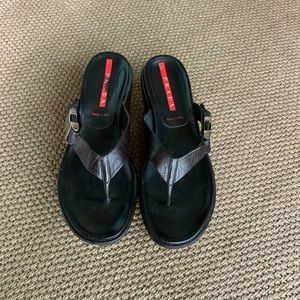 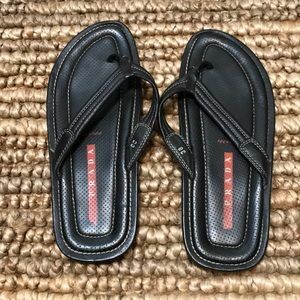 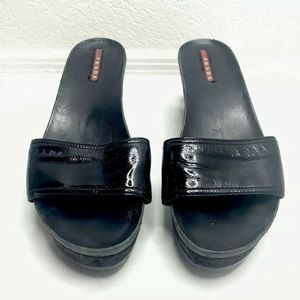 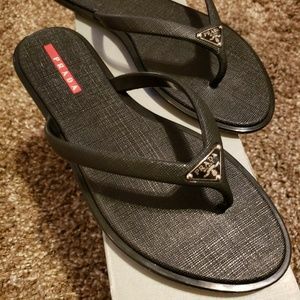 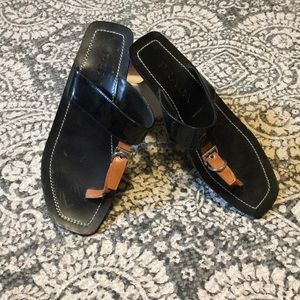 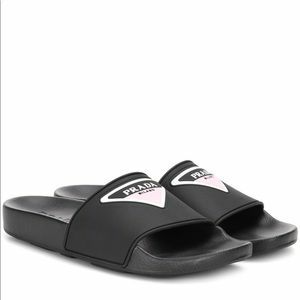 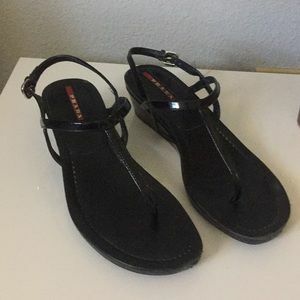 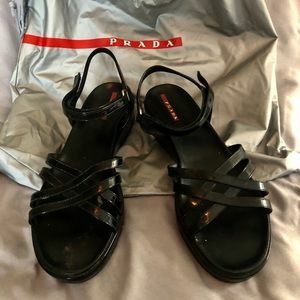 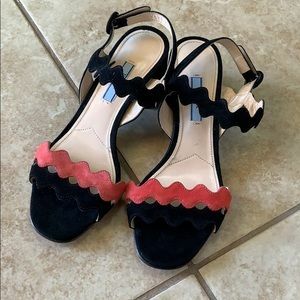 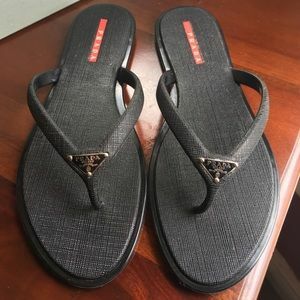 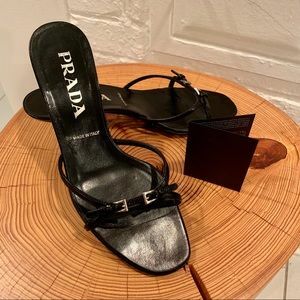 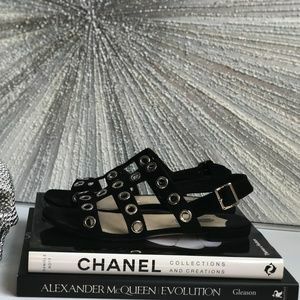 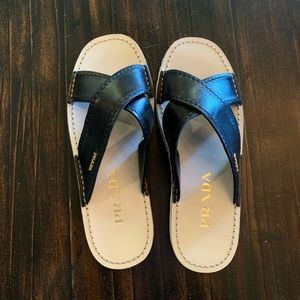 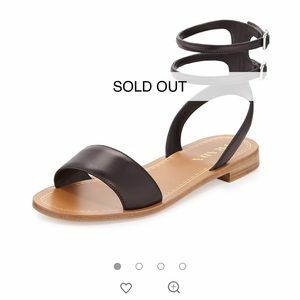 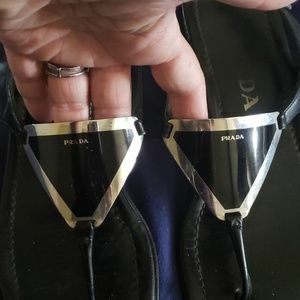 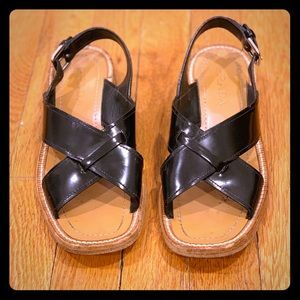 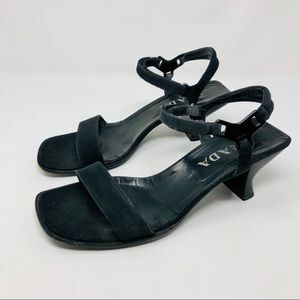 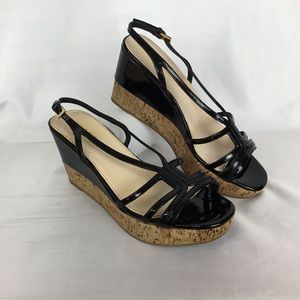 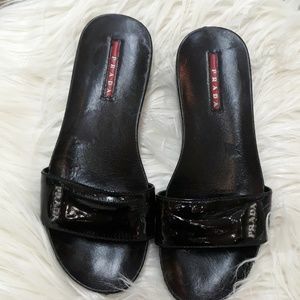 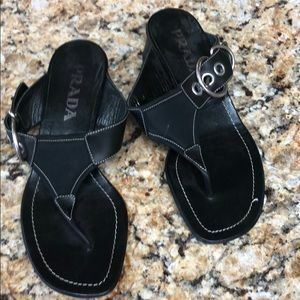 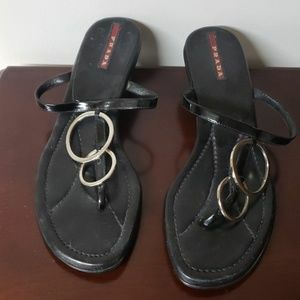 PRADA SANDLES SIZE 5/1/2 BLK.